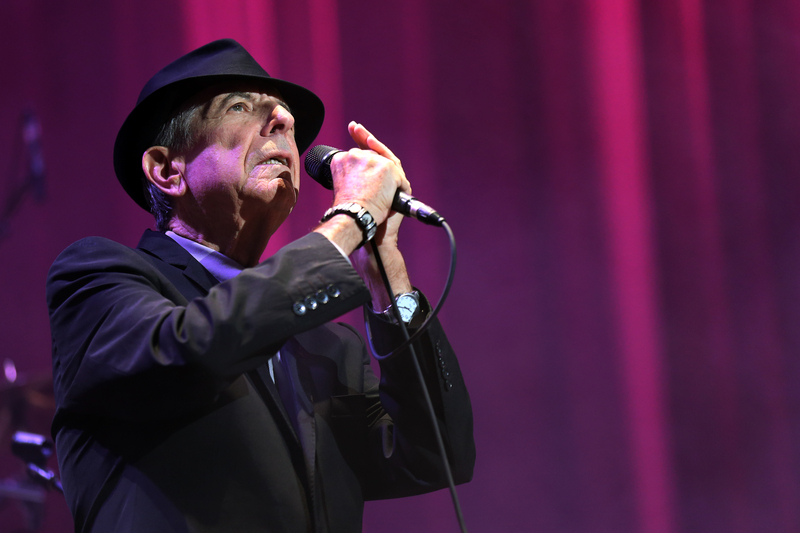 LOS ANGELES -- Leonard Cohen, the baritone-voiced Canadian singer-songwriter who seamlessly blended spirituality and sexuality in hits like “Hallelujah,” “Suzanne” and “Bird on a Wire,” has died at age 82. Cohen’s label confirmed a statement on his Facebook page Thursday that he has passed away, and a memorial will take place in Los Angeles at a later date. No further details on his death were given. His “Hallelujah” became a cult hit when it was covered by musician Jeff Buckley in 1994, singing an arrangement by John Cale, and has become a modern standard since, an unending staple on YouTube videos, reality shows and high school choir concerts. “Hallelujah” been covered many times over the years -- among the artists who have covered it are Bon Jovi, Rufus Wainwright, Regina Spektor, Michael McDonald, Norah Jones, Justin Timberlake, k.d. lang, Brandi Carlile, Susan Boyle, Bono, Willie Nelson and Renee Fleming. It was featured in the movie “Shrek” and TV’s “The O.C.,” “The West Wing” and “American Idol.” And outside of the entertainment world, “Hallelujah” has also been used at Jewish and Christian religious services. Retired “Sunday Morning” host Charles Osgood did his own cover of the song in 2014. When he gave his first U.S. concert in 15 years in early 2009, the 74-year-old received countless standing ovations from the sold-out crowd at New York’s Beacon Theatre. Biblical imagery appears in many of his songs. “Suzanne,” for instance, contains the lyric: “And Jesus was a sailor when he walked upon the waters.” The love song “Hallelujah,” which was used in the animated Disney movie “Shrek,” makes references to the biblical stories of Samson and King David and Bathsheba.